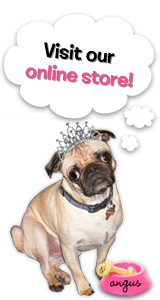 The Rubber Cafe Design Team Blog: Joie de Vivre! Roughly translated, "Joie de Vivre" means happiness of life. This sentiment can be found in the Bon Apppetit stamp set. And as you can see, it works well with other stamps from The Rubber Café. The Song and Dance Frogs certainly look as if they have a happiness of life! In creating this card, I used the 18th Century Proclamation background stamp to create a fun paper bow. 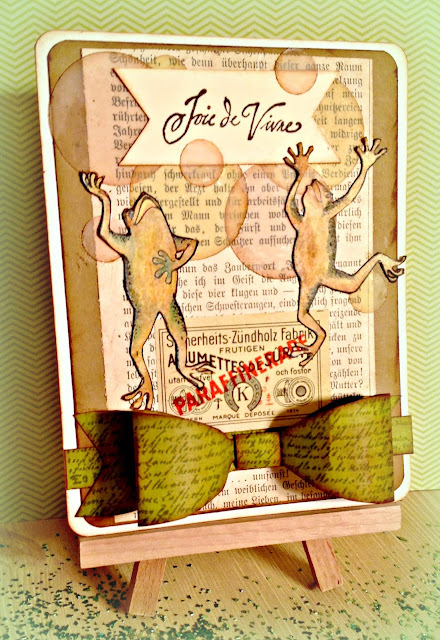 A foreign antique book page and a vintage matchbox paper makes a fun background for the happy little frogs. The "bubbles" are vellum circles. I was really impressed by how nicely the Scrap Happy Glue worked with these delicate papers. No wrinkling, tearing or warping! Click here to see a short, 2 minute video done by Melissa on how to properly use wet glue. I wish you Joie de Vivre! Michelle....your cards always make me smile....those froggies are hoppin' cute! I love the dancing frogs! vellum circles make a very interesting background too!